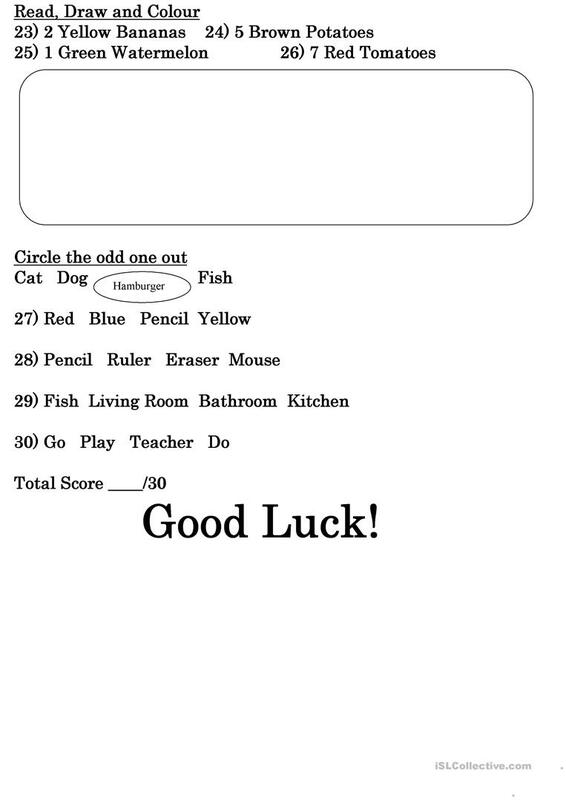 An elementary test for low level students! The present downloadable teaching material was created for high school students and elementary school students at Elementary (A1) level. It is useful for improving your groups' Listening, Reading and Writing skills.